1. 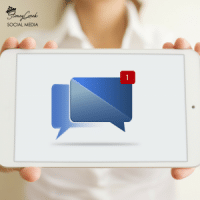 Add social media links to your website: Just as it’s important to have a social media presence, it’s also important that your costumers know about the same. In order to grab their attention to your social media profiles, the easiest way is to add the social media links to your website. They should be #LoudAndProud at the top of your website. 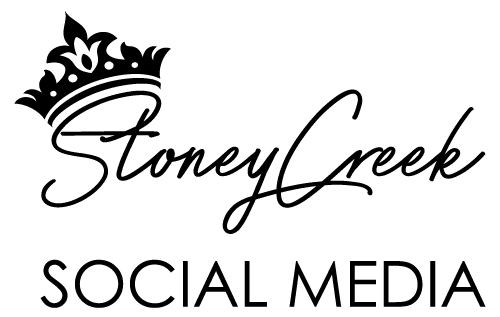 Just like we have on our website, stoneycreeksocialmedia.com. Your loyal customers would love to follow you on social media as well. If they visit your website & see the social media icons, their chances of following your brand increases! 2. List your social media profiles on your business cards: Whenever you meet a prospective new customer or a new investor, you hand out your business card. Why not list your social media profiles there too? It’s probably the easiest way to increase your loyal following. Even though handing out business cards may seem a little outdated, but people still use & store business cards. 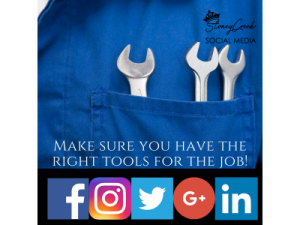 You invest a lot of time, money & resources in your social media, be proud of that work and list your social media profiles on your business cards. Since you yourself hand out your business cards, its reaching a very niche audience with whom you have a one-on-one interaction with. It’s more likely that they will read your information and check out your social media business profiles too! 3. Cross-promote your social media sites: Different social media platforms tend to have different audiences. Your Instagram followers may like a certain type of posts & your Twitter audience might be completely different. Nevertheless, it’s imperative that they know about all your different social media accounts too. If one customer like your content on one platform, it’s likely that they will follow you on other platforms as well. Hence, keep cross-promoting your different social media platforms. Put your Twitter profile URL on your Facebook handle & share your Instagram profile on your Twitter handle. This is an easy & organic way to keep increasing your social media reach & followers. 4. List social sites on your email signature: Listing your social media sites on your email signatures is imperative. Not only it makes your emails look more professional, it also leads people to click on your social media sites. Customers who you communicate with on emails, might not be aware at all about your social media profiles. I use a really cool tool called WiseStamp, it helps businesses create an effective email signature with their social media profiles as well. After using this amazing tool, it has been seen that there is a 10% increase in social networks reach when adding social apps. That’s a great statistic & a great percentage to increase your social media reach organically! However, be careful. Don’t add too many or all your social media profiles to your signature as it might amount to a very large signature & might be taken as spam. 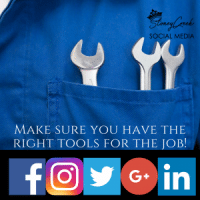 Just add the basics & strategically think about what are the social media icons that you want to promote the most and which is the most impressive social media of the bunch for your business. 5. 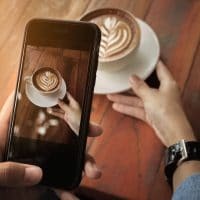 Use signage to promote your social media: If you have a ‘brick & mortar’ business location, use some innovative signage to promote your social media profiles. Promote your social media profiles on your business signboard also. This will increase your brand retention & if people find your business interesting, they might check out your social media to find out more! This can work great for your business, go on..try it out! 6. Add Social Media Share Buttons: Make it easy for customers to share your content & images. Social media share buttons help visitors share the content they like without going to a particular social platform to do it. The easier it is to share, the more shareable your content will be. For people who like to Tweet, give them an option to tweet your content out. For people who love images, make sure you have a Pinterest button so that people can save their favorite images from your website. 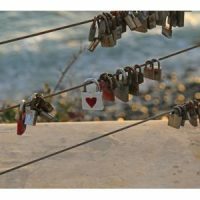 By simplifying the process of sharing a link, you increase your chances to be shared. In order to add these Social Media Share Buttons, all you have to do is know some basic HTML skills. However, if your website is built on WordPress, you can easily add some plugins & you’re good to go! So go on, add these buttons. 7. Tell people about your social media profiles: Whenever you meet new people, make sure to tell them to follow you on your social media channels. Don’t assume people will find you directly or take the effort to find you. Point people in the right direction & tell them exactly how to find you. This is an old-fashioned but great way to increase your following. Whenever you’re at a convention or a meet, make sure to drop in a line about your social media profiles. It works wonders! There you have it, tips & tricks to make the most out of your social media. 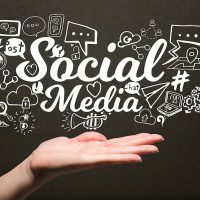 These are some organic ways to promote your social media profiles & they work very well in my experience. I have personally experienced & seen a great growth in my social media after using the tips I have mentioned above. These are all tried & tested methods! So go on, use them & take the internet by storm! 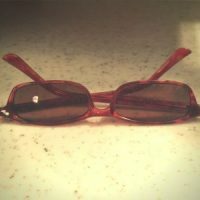 You can check out our website: stoneycreeksocialmedia.com for more about social media services! Contact us today to get started on your Social Media Strategy.